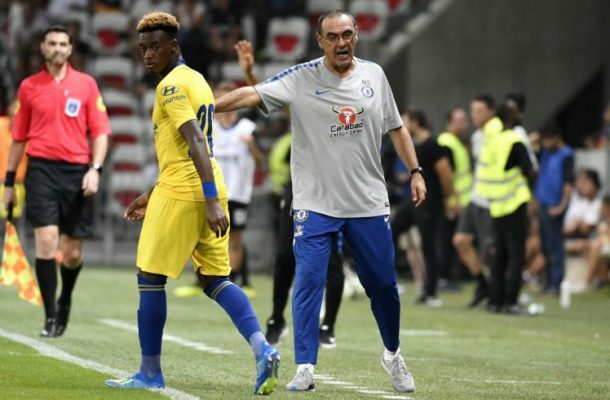 CHELSEA boss Maurizio Sarri has fallen victim to the wrath of Blues fans after he left Callum Hudson-Odoi out of squad AGAIN for Sunday's clash against Manchester City. But the starlet has played just 74 minutes in the Premier League this season, and was snubbed again for Sunday's humiliating 6-0 defeat to City, infuriating Chelsea fans. Sarri appears to be playing with fire as Bayern will reportedly renew their pursuit of Hudson-Odoi in the summer - but Chelsea can now expect their offer to be much lower offer than the £45m the German giants bid last month.